Mobile Number Portability allows to keep the same mobile number and change the operator. And finally the dream of “Mobile Number Portability” (MNP) has come true, the move initiated by Department of Telecommunications (DoT) two years ago. The deadline which missed couple of times owing to the differences between DoT and GSM Mobile Operators. Telecom Minister Mr. Kapil Sibal launched the service in Haryana on 25th Nov 2010. However for rest of India still have to wait till 20th Jan 2011 to avail the service. 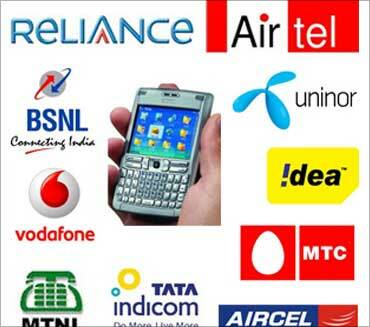 Mobile subscribers has to to pay nominal fee (Rs 19/- in Haryana state) to switch between operators. Post-paid subscriber has clear all dues before switching. Pre-paid subscriber will loose all the remaining balance as it wont be carried forward. The process will take maximum seven working days and the subscriber will be allowed to cancel his request to port within 24 hours. Mobile service will be off for about 2-3 hrs during switching process. Once ported, a subscriber will not be allowed to switch operators before 90 days. where 9822XXXXXX is your number. You will get an SMS reply that contains a unique porting code from current subscriber. Put request to new subscriber with this unique code which will remain valid for few days. One has to fill the application and submit all relevant documents again to new subscriber. Number portability will be available from all the GSM Mobile operators of India which includes Vodafone, Airtel, IDEA, Aircell, Uninor, BSNL, Reliance, Videocon, and so on. can i change my VODAFONE prepaid into uninor prepaid….? i want to port my reliance number in idea or vodaphone…. plz tell me which is best??? idea or vodaphone???? n whats the procedure of port???? i sent my portability to idea from reliance,what is the progress? don’t go for airtel network. airtel follows unethical business prcactice and cheating customers by mean of selling the customer data for call centers for making money. if we make complaints on receiving business promotion calls and sms after registered DND as per TRAI regulations, thjey will blame the customers saying that we should not print our number in the visiting card etc. I had already send sms for porting from airtel to tata docomo. but the date was expires on 21/4/12. can i submit the documents now using the same id number. i want to port my hutch number in idea…. whats the procedure of port???? how to come back to same previous company?? hi..I want to port my reliance number in vodafone…what the procedure of port…..? kindly sir i want protability bsnl to vodafone tell me. I want to change my aircel number in vodafone. please tell me process. i want to change my idea number to bsnl . can u help me by giving the procedure for that? which connection is more fast for data usage ? bcoz of poor airtel signal in my area.i want to change frm airtel to idea. can u plz tell the network code.. I want to port my tata indicom puna number change to mumbai in idea…. what is the processor and how much i have to pay for that. Never use AIRTEL pre paid……. do u know since 1 year am trying to reach customer service regarding my issue. still couldn’t able to reach them.. seems there is no option to speak to customer service…. how long it takes to change from bsnl to airtel(activation)? I want to know that what are the schems if I port my number from pre to postpaid of vodafone. I want to port my reliance in BSNL .pl tell me all process. I have submitted request toport in from uninor (mob.no.9415368487) to BSNL on 15 mar 2013 but not port till day. hi i’m change my number portanility reliance prepaid to uninor prepaid tell me about process. I want to port my Uninor number to Bsnl please intimate steps. want to port my idea in BSNL .pl tell me all process. mai apna mobile no.8528637064 vidiocon ka hai esko mai bsnl me krana chahta hoo, mujhe upay btaye aasan trike se.